Andy Carroll: Heading For Greatness? If there has been one criticism levelled at Andy Carroll more than any other since he burst onto the scene in 2008, it is that his aerial threat is where his ability begins and ends. As one disgruntled Geordie put it on Twitter, “That's his only trick though ....He's just a Geordie John Carew”. 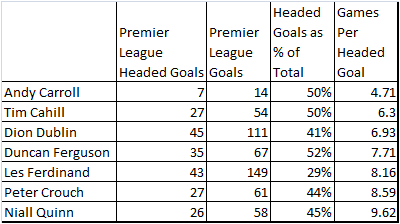 In 33 Premier League games before joining Liverpool, including 14 used often as a substitute for Newcastle in 2008/9, he surpassed Tim Cahill as the most prolific scorer of headed goals with 1 every 4.7 games. This confirms that Carroll is the best header of all time (or at least since Sky invented football in 1992). Should Liverpool therefore adapt their style of play to suit him? 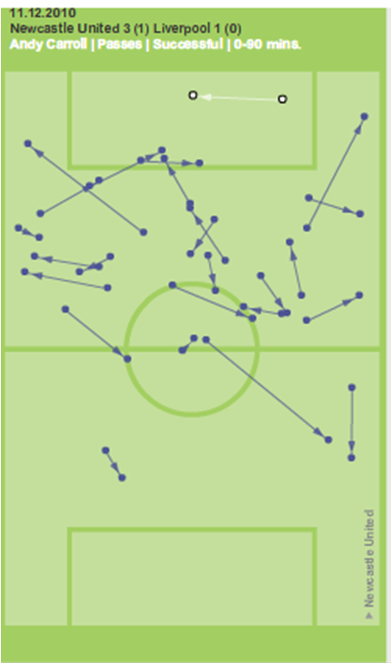 Or does Carroll have the toolkit to embed himself into our pass and move philosophy? Evidence that he does possess more than just a head comes from one of his last games for Newcastle, in their 3-1 win against Liverpool in December. 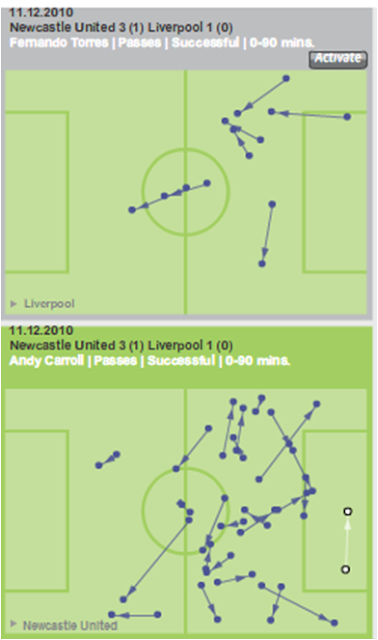 Carroll had a hand in every Newcastle goal, getting 2 assists before burying a 30 yard screamer. One of his assists came from winning an aerial battle, but the other and his goal both came via his left foot. He therefore possesses skills in at least one foot as well as his head. 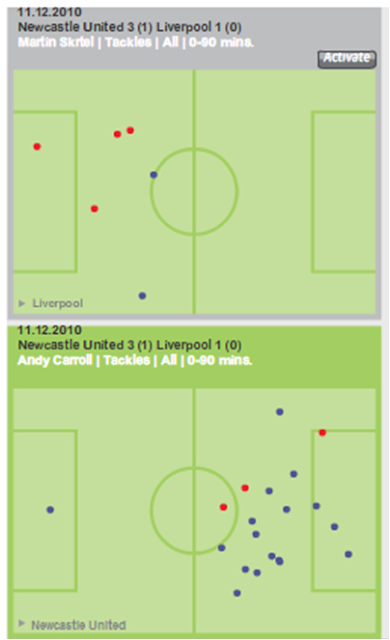 Carroll has shown in a short period of time at Liverpool that he possesses many talents. One of these is his ability to make diagonal runs, dragging central defenders out of position. His ability to occupy defenders is sure to see Suarez, Meireles and Gerrard cause havoc down the middle. When all four are fully fit, Liverpool will have arguably the best attacking line up in the league. It is a mouth watering prospect which we will hopefully see for the first time against West Brom on Saturday. Carroll has already proved beyond doubt that he is great in the air, it is now time to see whether he can live up to his price tag and enter the realms of greatness full stop.